Is portable cabins useful for a project? In general, the guard cabin is an essential security structure which is available in all multifaceted organizations. 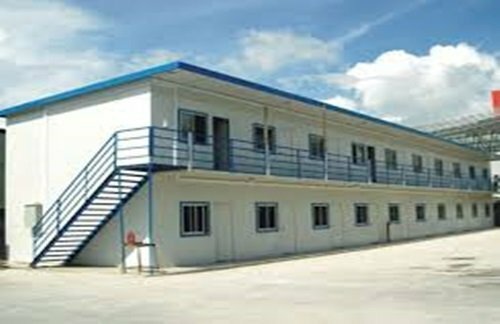 Saman portable is successful in catering to the requirements of organizations to provide pre-built security buildings in India. Since 2017, we are among the top supplier of customized security cabins in our respective field. our manufacturing process involves the utilization of latest machines and industrial graded raw materials designed by our gifted architects and experienced professionals. Our team comes with a group of committed professions who guides you with your every step; from planning to installation. We profoundly thanks to our manufacturers and distribution team, which manages to deliver the orders without missing a single deadline. All of the professionals appointed for constructing the guard cabins possess years of experience. We follow a stringent procurement, structuring and producing process, which contributes to the success of our company. Keeping our tabs in the current marketing scenario, technology, and consumer demands, we are able to implement dynamic changes in our services and keep our customers satisfied in the long run. We have always maintained a reliable and profitable relationship with various raw material suppliers and manufacturers across the country, which allow us in providing the best quality materials and subsequently help us to deliver quality materials at a lower cost. Furthermore, our stringent procuring process by our professionals helps us to maintain the quality of input products which results in manufacturing an exemplary product that lasts forever. You don’t have to follow any critical procedures while ordering a security cabin. All you have to do is provide us some information about your requirements and our designing expert will provide you some preapproved designs to choose from. We can build you a Guard cabin considering your workforce and the location of your office. At SAMAN POS India Pvt Ltd, we develop a security platform that not only offers excellent accommodation but goes along with your financial plan as well. The manufacturing process starts with considering all prerequisites security features and then embellish them with contemporary interiors. Our prefab guard cabins undergo a safety compliance manufacturing process along with advanced assembling process. 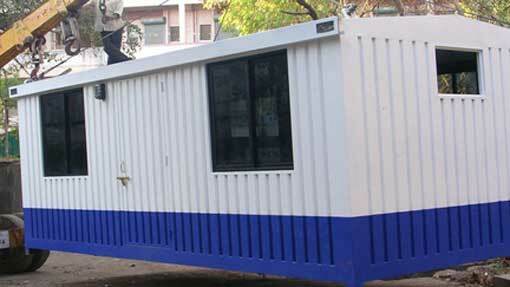 We are instrumental in offering a comprehensive range of Portable Home Container. Keeping in mind the diverse requirements of our clients, we always stay alert to provide premium, durable and easy to transport guard cabins at our client’s doorstep. Moreover, all of our cabins are easy to install, impact proof and long lasting. We are specialized to customize your orders as per your specification adhering to every tiny detail. All our cabins come with a height of 6-8 ft with excellent choices of color coating and lavish wooden finished interiors. We design our products with materials that maintain the inner heat and keep it cool. We can modify the structures that can accommodate air conditioning system, electric wire, modular switch, tube lights and concealed electrical sockets for maximum safety. With the emergence of eco-friendly approach across the world, we at SAMAN POS India Pvt Ltd also set down toward the Green Path by developing the eco-friendly security cabins. Our prefabricated Guard cabin offers an adaptable spot for your security personnel. 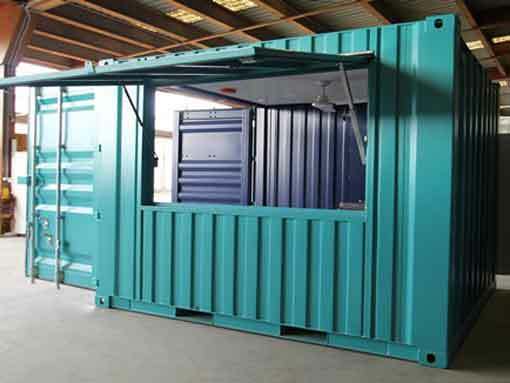 The modular guard cabins can easily expandable or reducible, allowing you to modify the space allocation as per your workforce and requirement of space. contrary to traditional structures, you don’t have to start from scratch for modifying your existing structures. 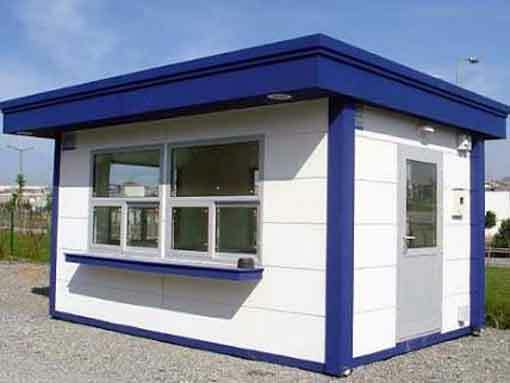 Our Prefab Guard Cabin only takes 4-5 days for installation. They are tough and quite adaptive to the uncertain climate condition of India. Made from durable ACP Material, our cabins are eco-friendly as well as budget-friendly compared to the price you pay for traditional structures. 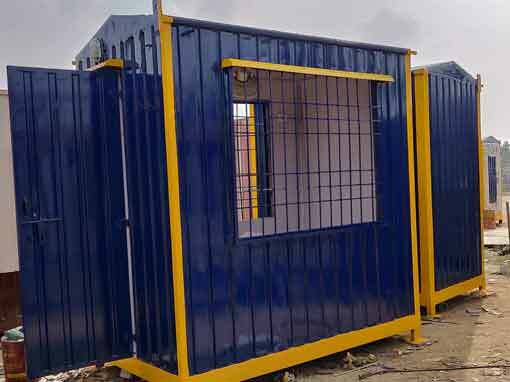 SAMAN POS India Pvt Ltd never compromises with the quality of products and provide the best quality fabricated Guard cabin for sectors like schools, offices, factories, etc. As manufactured with high-quality ACP materials, it can withstand all weathers anomalies like summer, rainy, winter including natural calamities without any issues. All of our guard cabins are available in a wide range of sizes and extremely light-weight for easy transportation any remote locations. If you need to move the cabins, once installed by us, then you will get our service at any point in time. Even you can move them on your own because it’s a completely easy process and our professionals give you relevant information regarding its moving processes. The best part of these cabins are, they are reused and comes in the market with elegant designs without compromising the quality. 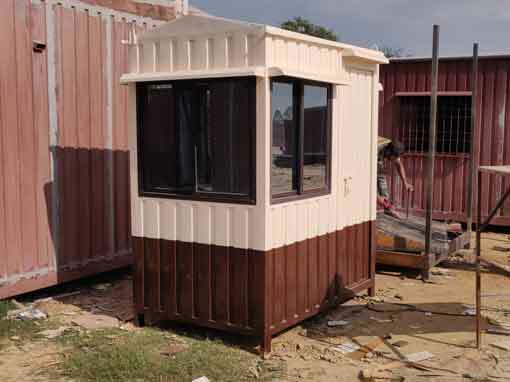 Our Guard Cabins are highly preferred for residential and commercial purpose. They are highly productive for an organization whose primary job relies on traveling to different places. As they are highly transportable, you don’t have to construct new structures for your security guards, rather you can transport your cabins and save a lot of money. Apart from money, it also saves your significant time you invest in constructing new buildings. All you have to do is load up your truck with the Guard cabin and have it transported within no time. 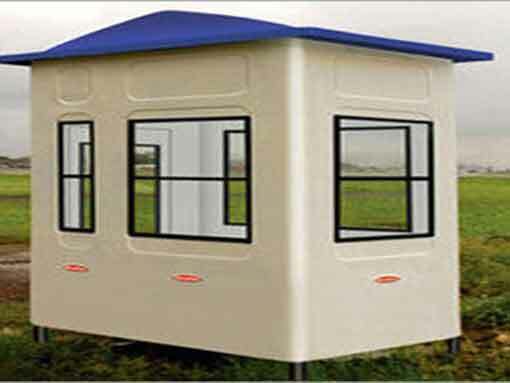 At SAMAN POS India Pvt Ltd our team will give you a comprehensive knowledge about of prefab structure and explain the in-depth features of a Guard cabin. With creative knowledge and expertise, you won’t need a force of labors for installing a cabin. We can provide you a group of effective specialists who will paint the cabins and give them a captivated outlook. 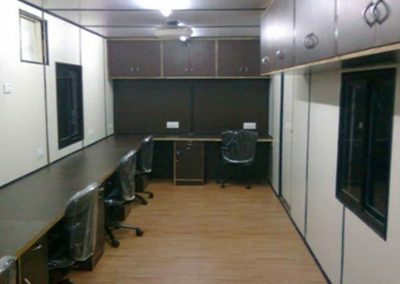 You can upgrade the Guard cabin by flawlessly molding them to install CCTV cameras, a work area table, smaller than usual capacity cupboards, etc. You can call us freely for setting up a meeting with us or getting the best price quote for your customized Guard Cabin. SAMAN, as manufacture of container has a plan to transforming a scrap and old containers into an amazing look for offices.